“Coach, I want to be more consistent.” This phrase, or a variation of it, has to be the one of the most commonly heard requests in sports history. And sporting clays is no different—we get it all the time. After the big jump in learning that takes place from rank beginner to intermediate, the condition of “average” sets in. There are flashes of mastery— times when the shooter is free from a personal average—but the flashes don’t happen on a regular basis without the knowledge of how they were created. That’s where we come in. That’s the intent of our coaching and the purpose of this book. In over 30 years of combined teaching experience, we have studied “the zone” in depth, and, more importantly, we have studied what it takes to produce a zone experience. This is where the mental game becomes extremely important. Sporting clays presents its own unique challenges in this area, and we’ve come up with our own unique approach to the mental game that addresses those challenges. There are many books out there that deal with mental performance in other sports, and on a general level, they are all saying the same thing. 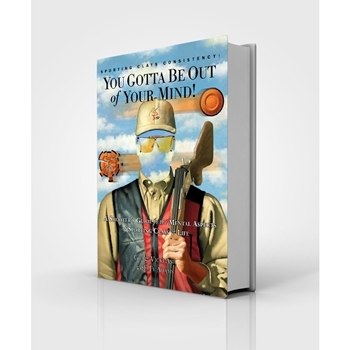 We aren’t inventing new modes of space travel here; our core concepts are based on many of the same proven mental-performance techniques, but this book is the first of its kind when it comes to information that is specific to sporting clays. Ours is not a one-size-fits all system; it empowers each shooter to tailor the concepts to their own individual level, and it allows them to self-coach with more effectiveness. For the shooters who have taken the concepts to heart and practiced them in a committed way, we have witnessed amazing results. So what’s the secret to such a successful mental game? How is consistency created? To sum it up in one phrase: You gotta be out of your mind! If you think there might be something to the idea that you can become more consistent by getting outside of conscious thought and trusting your subconscious, this book is for you. We invite you to dive in and join us in the exciting quest for mental mastery in the game of sporting clays … and the game of life. And we’ll make this one promise: losing your mind has never been so much fun.